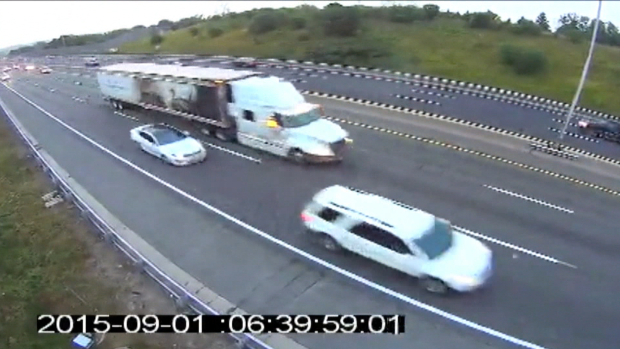 According to a recent CBC Marketplace study, which collected speed data for three days on the 401 highway – out of 45,000 cars, more than 80 per cent were speeding. Data from a CBC Marketplace investigation reveals that Ontario has some of the slowest highway speed limits in the world – but few people are actually obeying them. Out of 45,133 cars tracked near Toronto, only 17 per cent were driving at or below the speed limit. Over the course of a single day at one location in particular that was being monitored, dozens of cars were zipping along at such dangerous speeds that the drivers would immediately face a licence suspension if caught. That’s ridiculous to think about! It also poses the question: Does Canada have a speeding problem – or are the speed limits not high enough? Ontario has some of the slowest highway speed limits in the world – but few people are obeying them. Of the 83 per cent of drivers who were speeding, many were not even close to the speed limit of 100 km/h. Almost 10,000 cars, 22 per cent of all the drivers on the road that day, were travelling at least 20 km/h above the limit. Marketplace also found that 33 drivers were going at dangerously fast speeds: at least 150 km/h. If the rules were enforced, these drivers would have their cars impounded by police. 7 cars were travelling at 160 km/h or faster. “The risk of a fatality or serious injury is almost five times greater for vehicles crashing at 50 km/h or more above the posted limit on a highway with a posted limit of 100 km/h,” says the website for the Ontario Ministry of Transportation. Car crash victims suffer a plethora of injuries ranging from mildly disruptive to life threatening. Some injuries can even be fatal – our team of personal injury lawyers at Graves and Richard can help you.